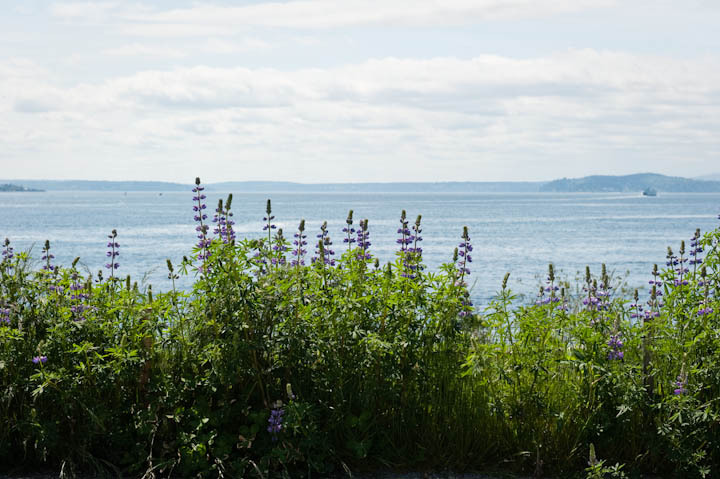 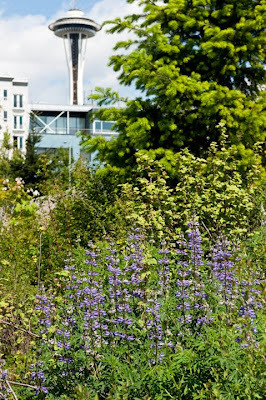 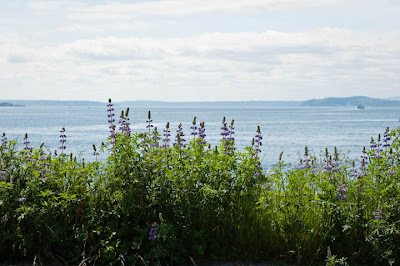 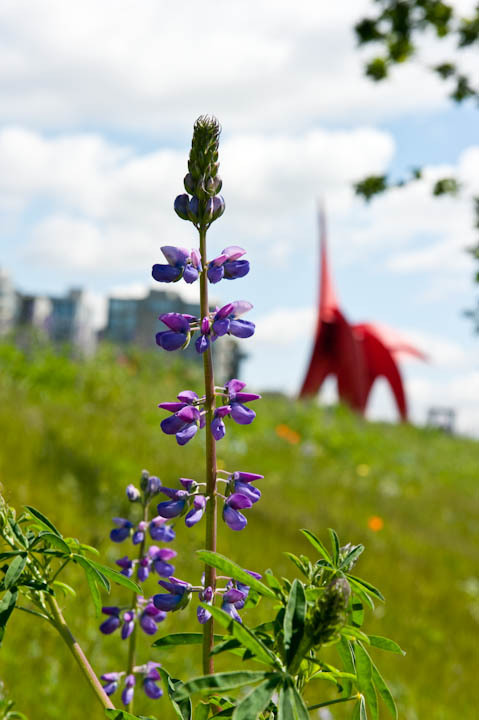 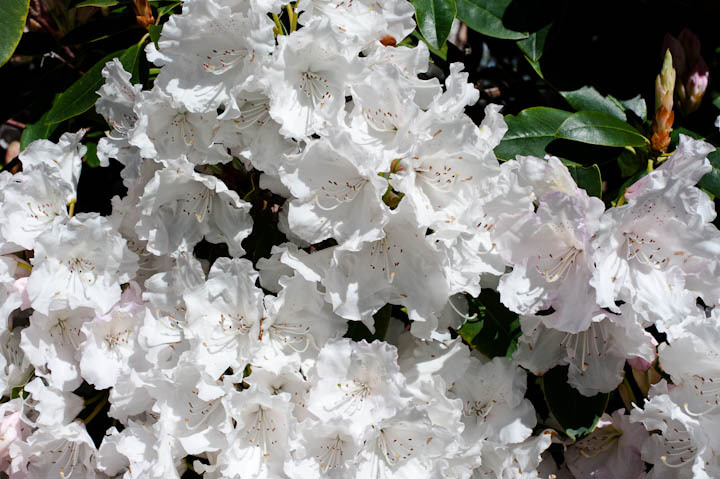 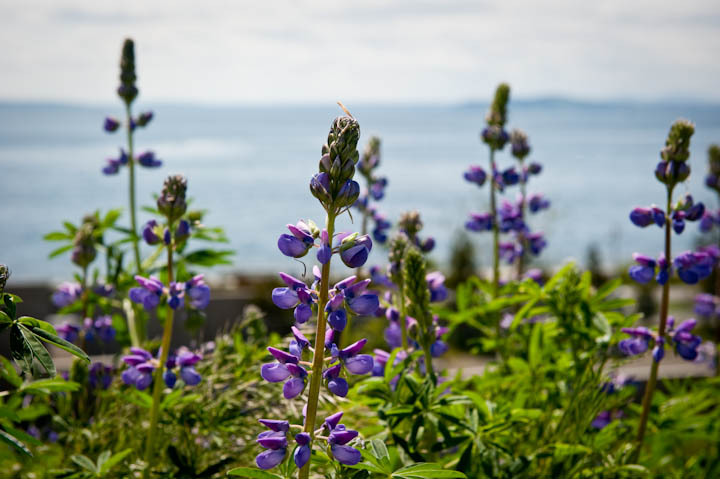 I visited the Olympic Sculpture Park (OSP), on May 10, 2010, to capture images as the wildflowers began to bloom. 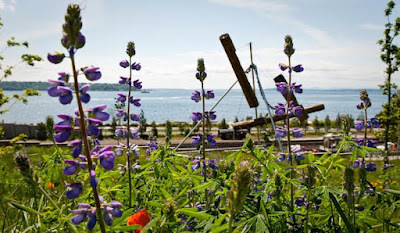 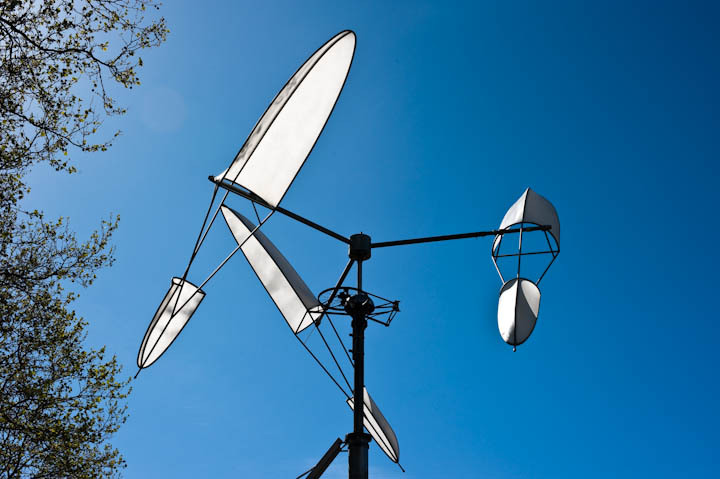 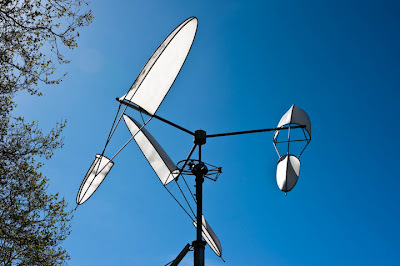 OSP is a Seattle Art Museum facility that combines outdoor sculpture, a pavilion and spectacular views of the Puget Sound and Olympic Mountains. 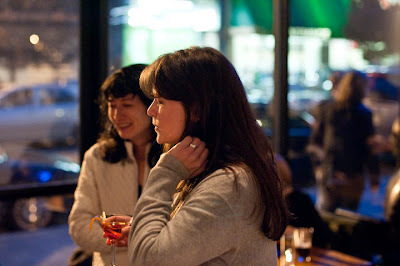 Seattle composer, musician and visual artist Paul Rucker celebrated his birthday at Grey Gallery and Lounge, in Seattle, on April 30, 2010. 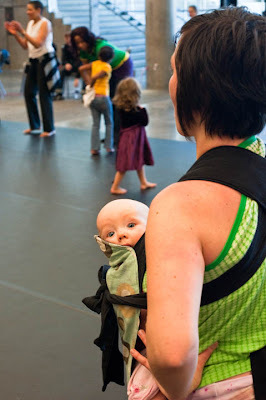 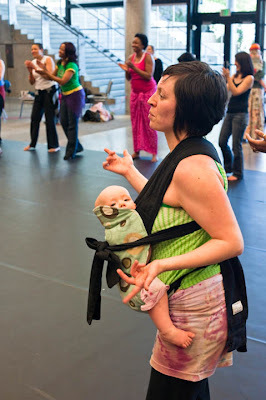 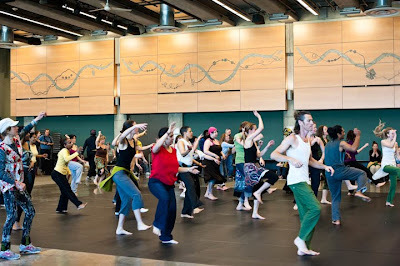 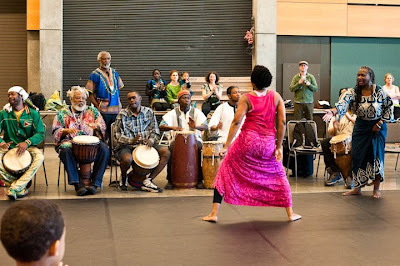 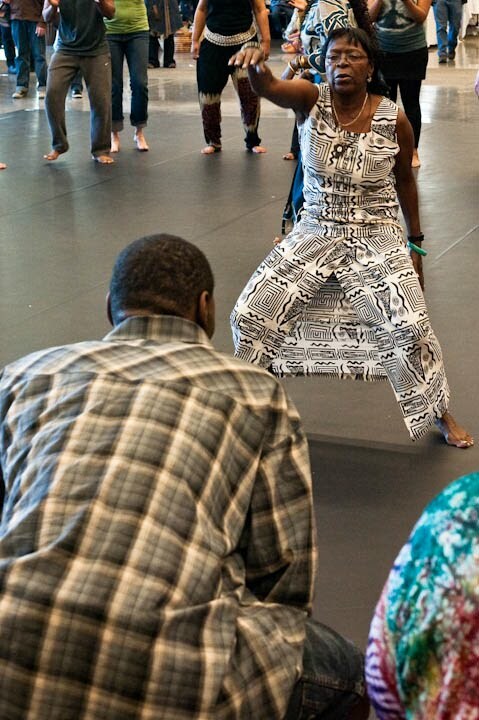 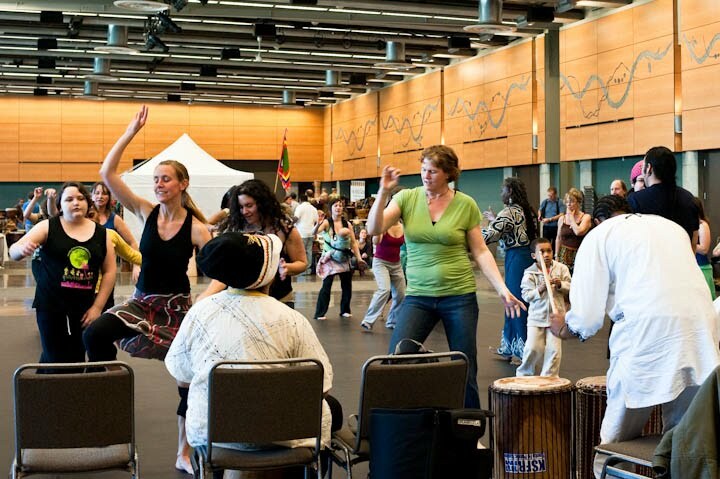 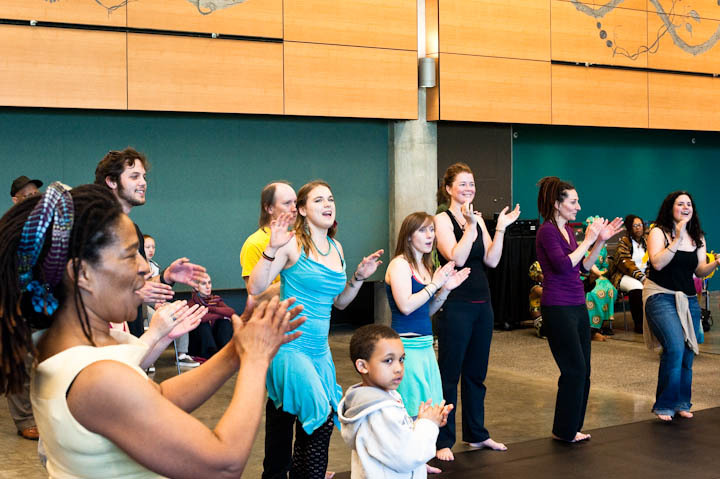 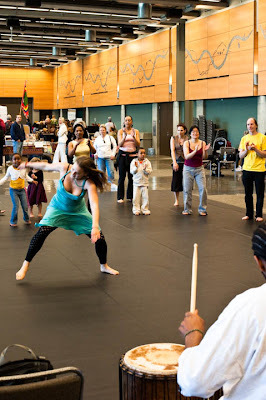 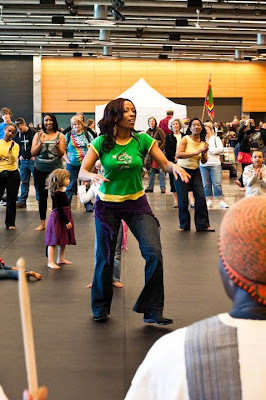 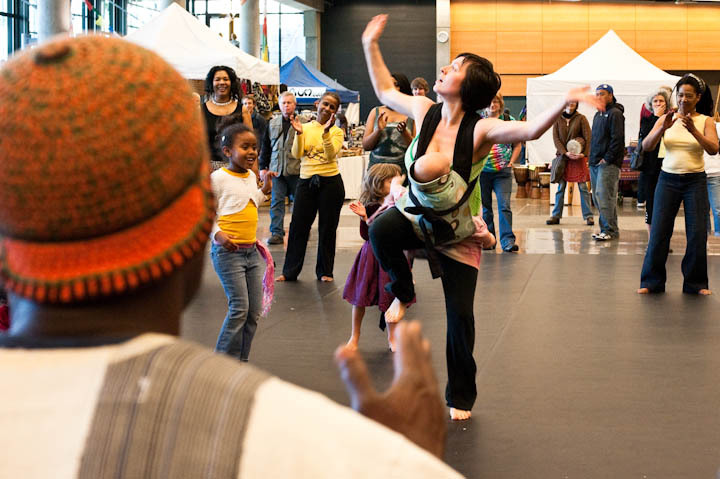 The World Rhythm Festival 2010 took place in the Seattle Center from April 23 to April 25. 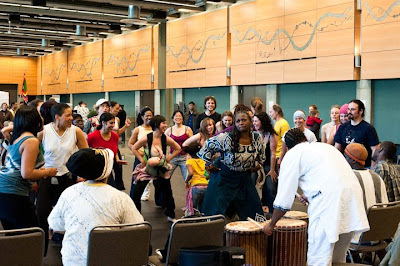 Other commitments kept me from spending a lot of time at this festival, but I made a quick walk through the Center on April 24 and photographed a few minutes of drumming and dancing, including one bright-eyed baby. 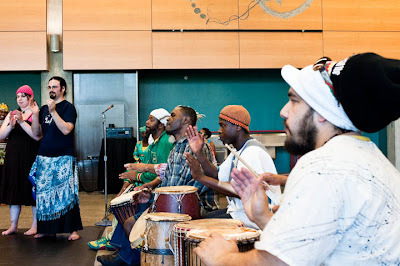 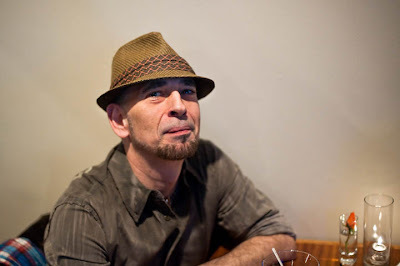 The event is produced by the Seattle World Percussion Society. 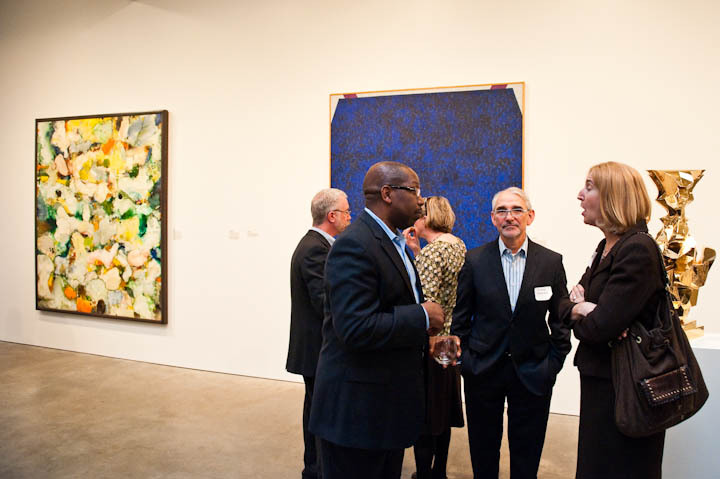 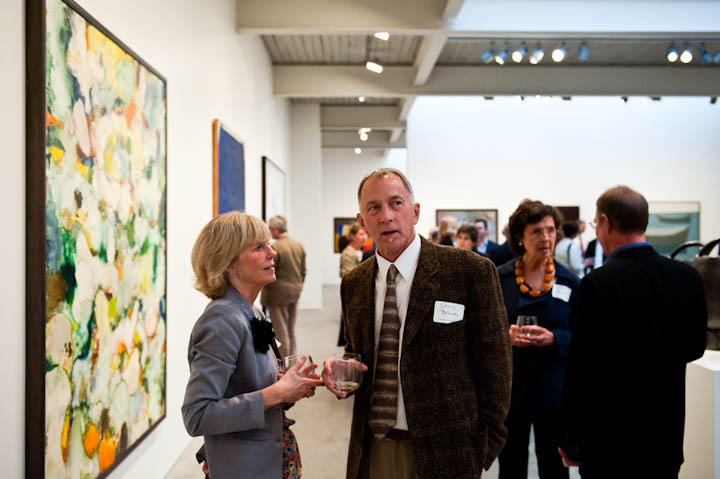 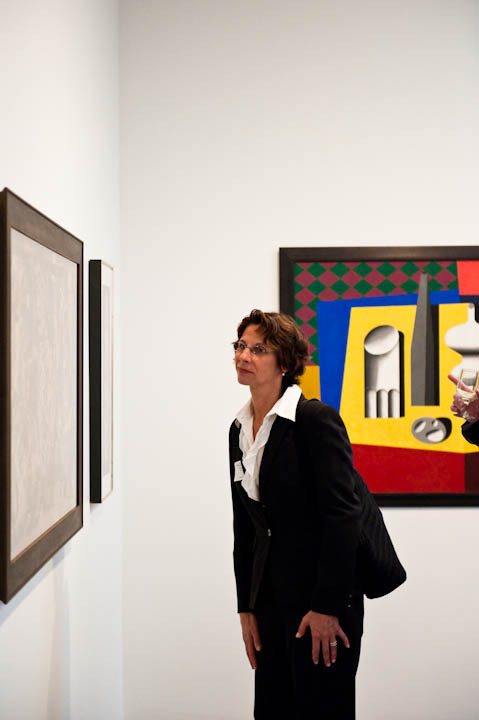 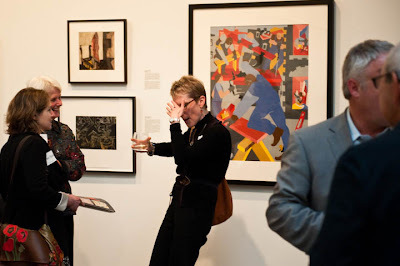 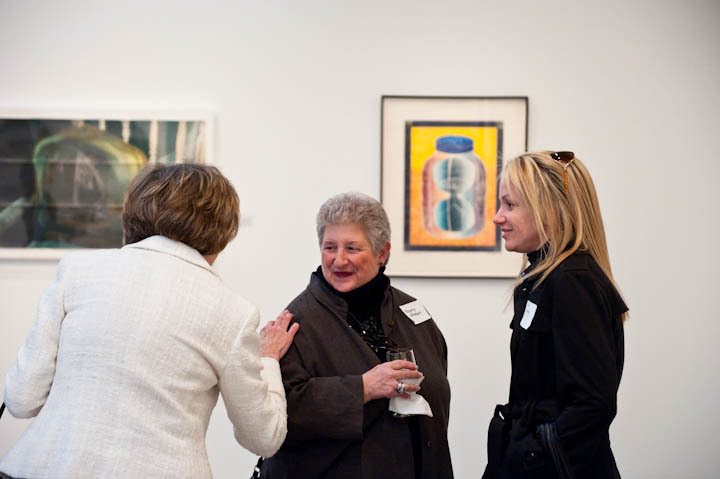 In early 2010, Safeco Insurance, a member of Liberty Mutual Group, donated more than 800 artworks from its collection to the Washington Arts Consortium (WAC). 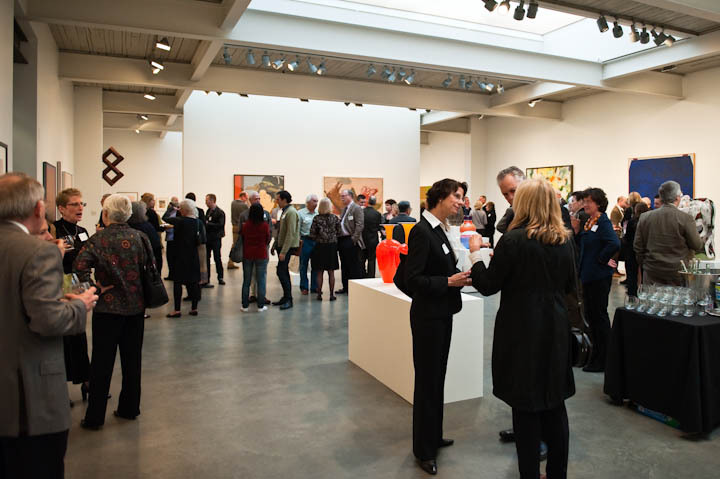 The works will be distributed among the Consortium members, including the Henry Art Gallery; the Museum of Art, Washington State University; the Northwest Museum of Arts and Culture; the Seattle Art Museum; the Tacoma Art Museum; Western Gallery, Western Washington University; and Whatcom Museum of History and Art. 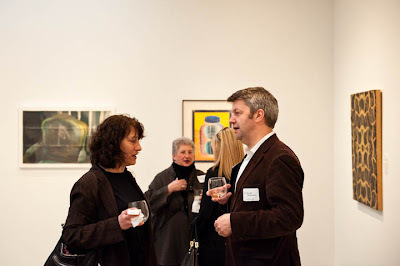 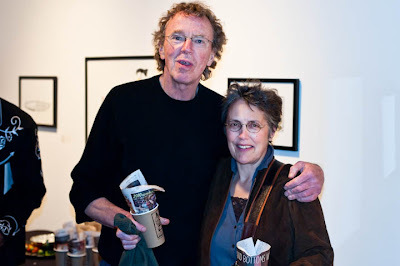 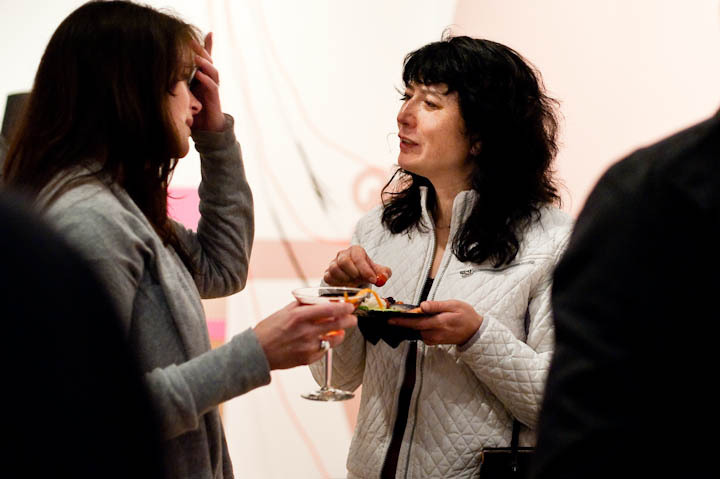 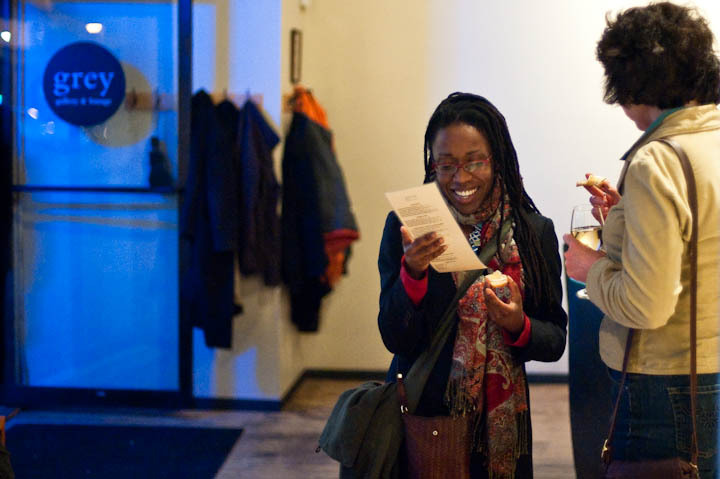 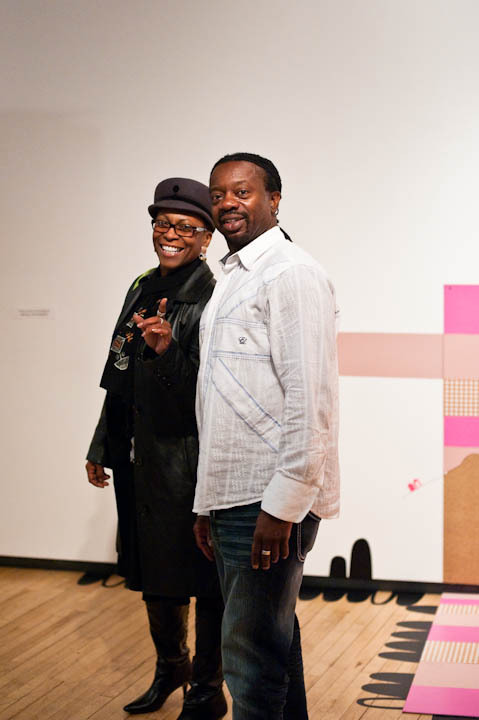 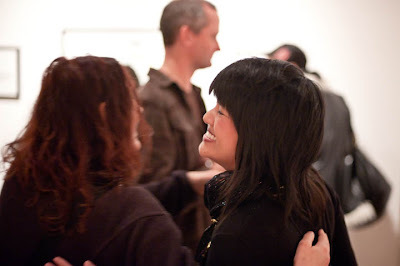 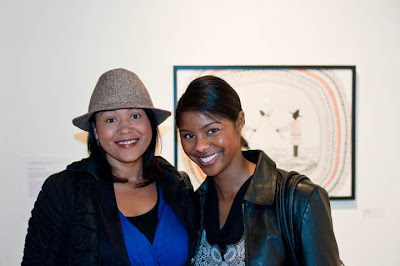 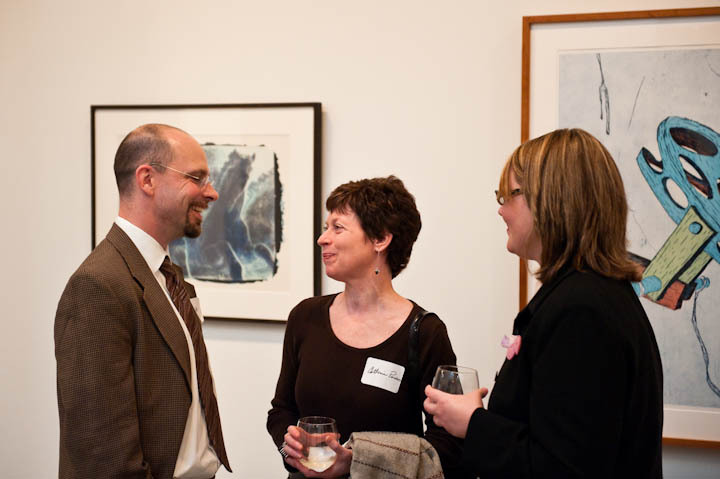 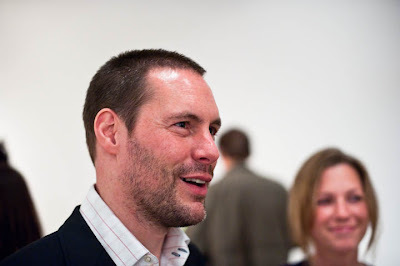 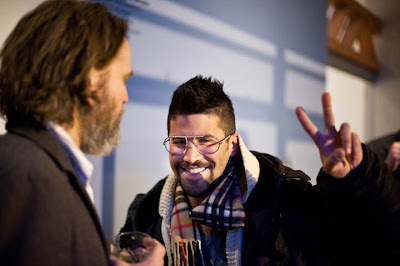 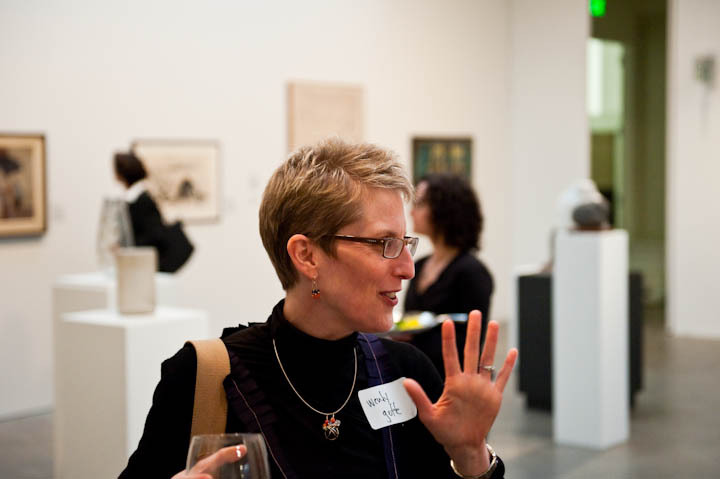 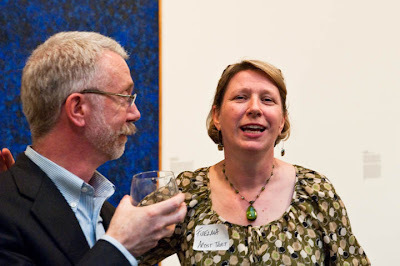 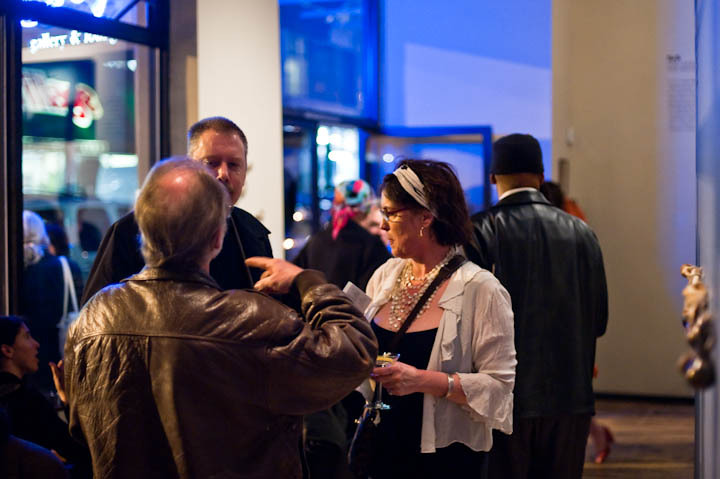 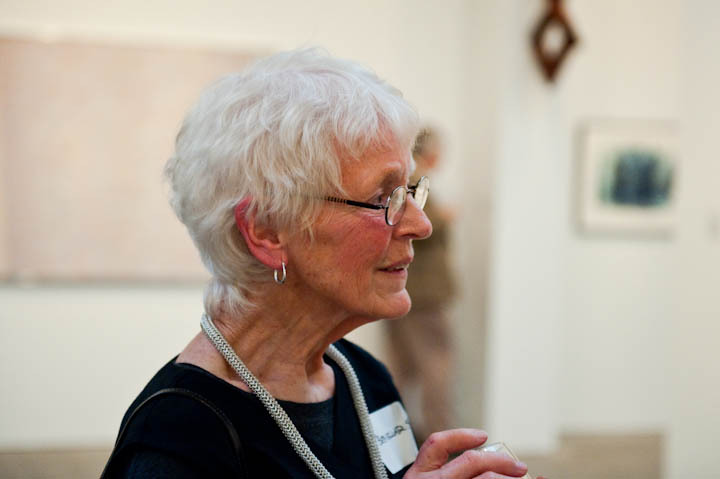 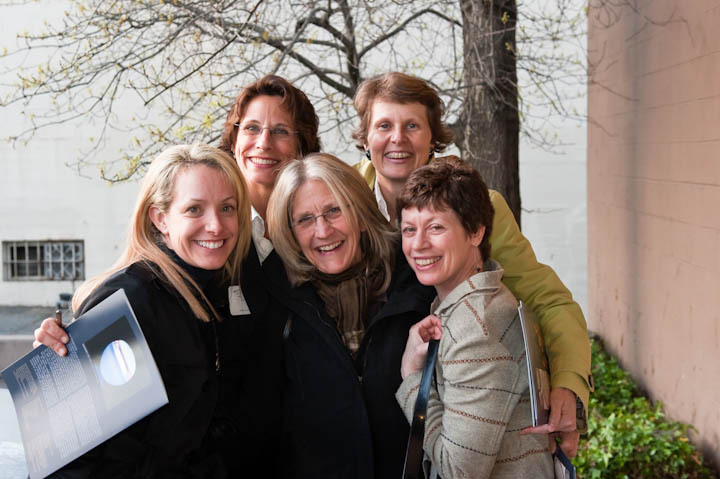 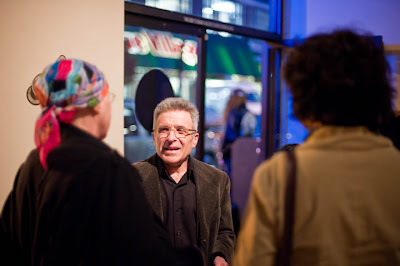 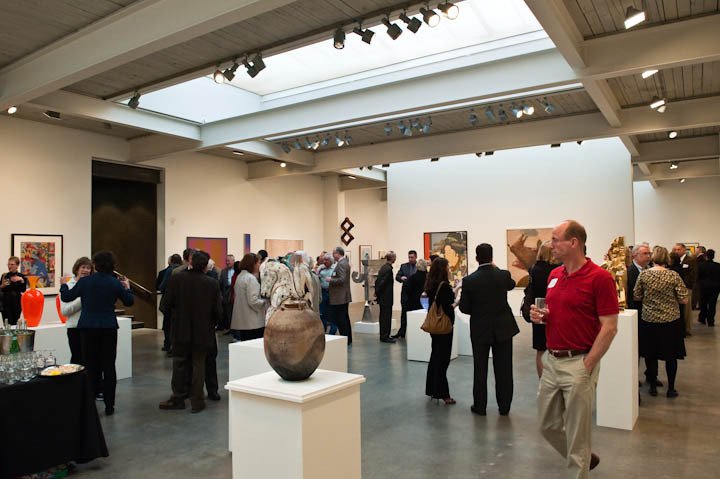 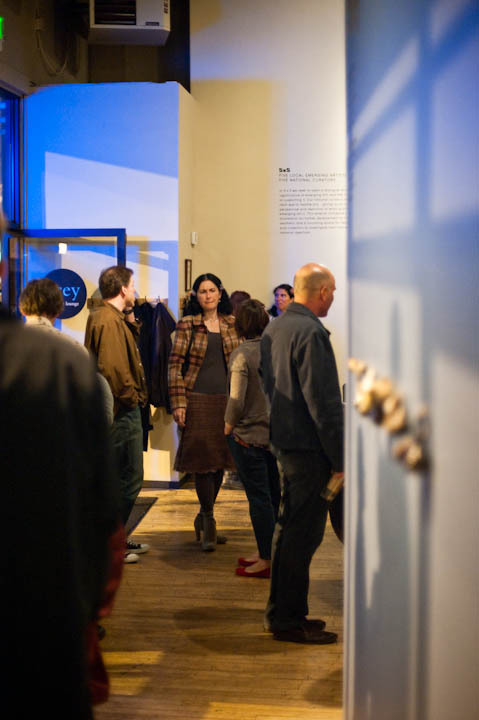 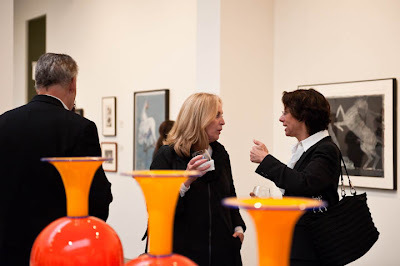 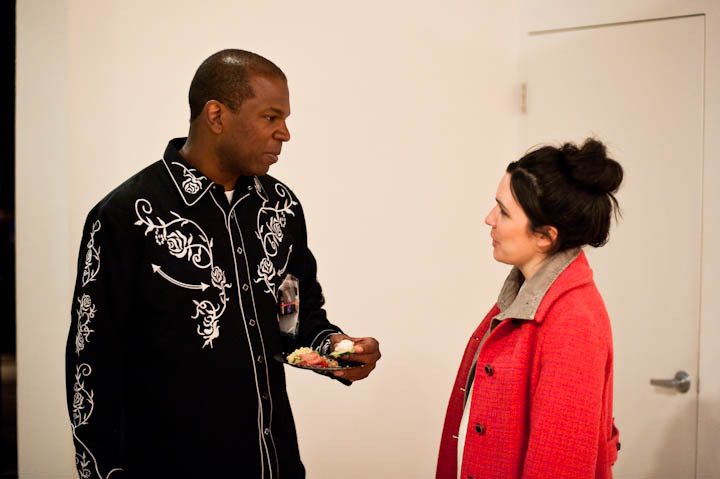 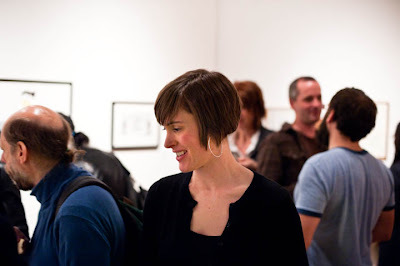 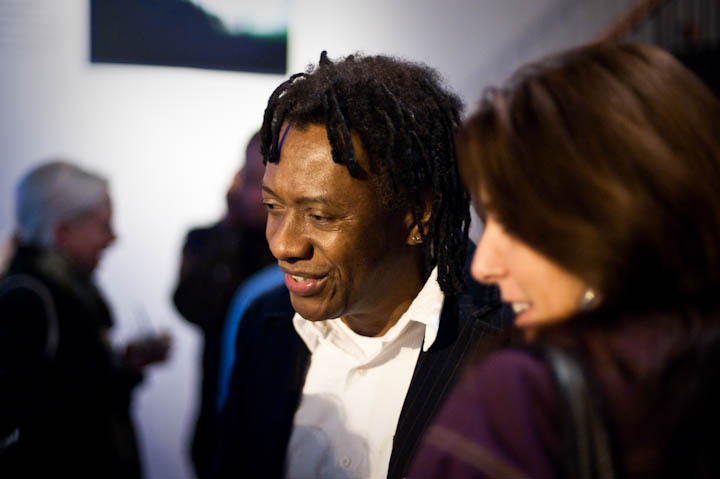 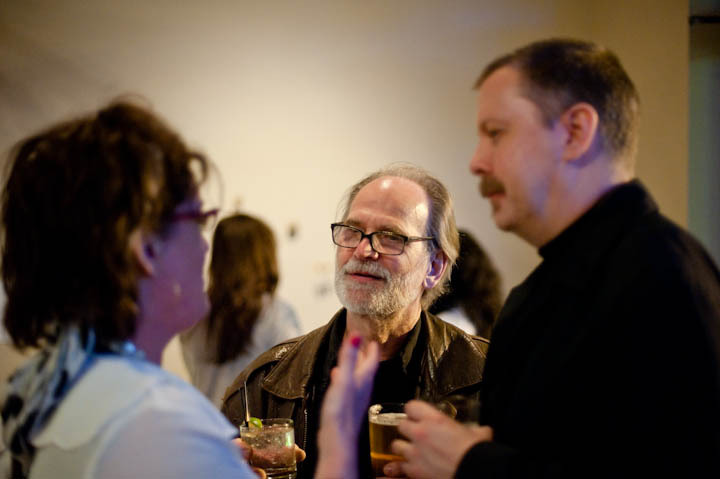 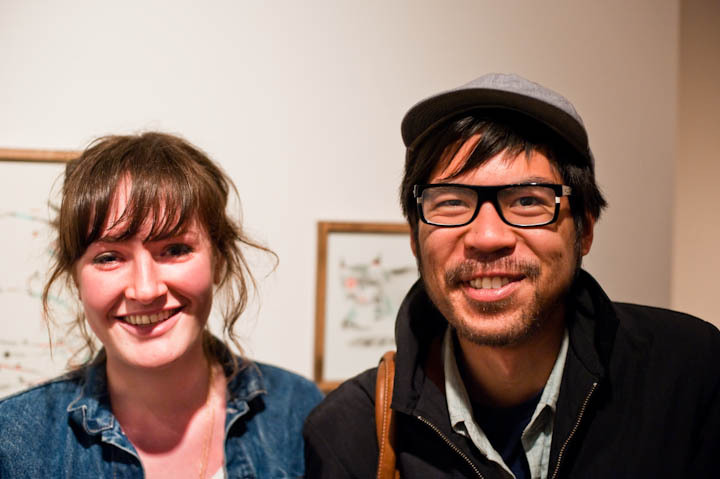 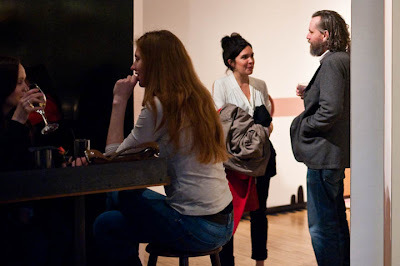 On April 23, 2010, a reception was held at the Wright Exhibition Space, in Seattle, which is exhibiting 90 of the works through June 25, 2010. 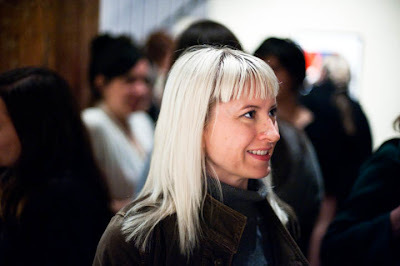 The show was curated by Beth Sellars.